Nearly Complete 2 Story Carrington Plan With 5 Bedrooms, 4 Baths, Study, Game, Theater And A 3 Car Garage. Upgrades Galore With Kitchenaid Chef's Package, Hardwood Floor, Light And Cool Grey Tones With Quartz Countertops. End Of Cul-de-sac With No Through Traffic. Room For A Pool. Ready In May. Offering semi-custom homes with dramatic views of the Texas hill country and Lake Travis, the master-planned community of Rough Hollow Lakeway is a thriving community. World-class amenities range from a yacht club and marina, lakeside gym, and waterfront grill to resort-style pools and access to four award-winning golf courses. Rough Hollow rests on 1,800 acres of limestone bluffs and canyonland. With over a dozen unique subdivisions, from luxury lake view garden homes to hilltop panoramic estates, it offers something for every taste. Featured twice in Austin’s Parade of Homes, homesites start in the $300’s and top off in the millions. The gorgeous Lakeway community of Rough Hollow encircles Rough Hollow Cove on Lake Travis and includes over a dozen unique subdivisions. A newly developed community created in the 2000s, many of Rough Hollow’s homesites are available for build-out or are under construction, and more Rough Hollow subdivisions are yet to come. The community offers a diverse selection of home plans across a variety of price-points, all featuring classic architecture and environmentally friendly design. When completed, Rough Hollow will feature over 1,900 homes ranging from the $300s to the millions. Resident and mother of two Melanie Sharp said her family “moved to Rough Hollow for the Hill Country beauty, the lake-loving community, and the exemplary schools” and that they enjoy a property that backs up to a greenbelt and overlooks a canyon. Energy-efficient upgrades, oversized kitchens, beamed ceilings, spa baths, and outdoor living spaces abound. Most of Rough Hollow’s elegant homes feature European-inspired architecture with courtyards, terraces, stone exteriors, and tile roofs. More expensive homes offer bonuses like three car garages, butler pantries, and wine cellars. Canyon Ridge has 50 wooded home sites overlooking the canyons and hill country. Coventry Homes is the builder for this section, offering one- and two-story floor plans ranging in size from 2,258 square feet to 3,465 square feet and priced from the $430's. The 44 luxury homes of the Summit feature breathtaking views of Lake Travis and the Texas hill country. Its builder, GH Reserve Designs, offers two collections of homes ranging from 2,500 to over 3,580 square feet. These hillside homes include both one- and two-story layouts and are priced from the mid $400’s. Most of the 62 homes within West Rim offer majestic canyon views. Builders include Scott Felder Homes and Grand Haven Homes. Scott Felder Homes feature 12 unique floor plans ranging from 2,500 to 4,500 square feet with prices from the mid $400’s. Award winning Grand Haven Homes range from 2,560 to 4,528 square feet and start in the mid $400’s. Each includes Grand Haven’s signature trademark, LIFEZONES™, which allow homeowners flexibility in personalizing their floor plan. The rolling landscape of Lakeside is a blend of canyon views and forest. It features 115 homesites and two builders: Drees Custom Homes and Highland Homes. Drees home sites include the newly designed Santeria floor plan. Homes are one- and two-story, start in the high $500’s, and range from 3,100 to 4,700 square feet. Priced in the low $600’s to mid-$700’s, Highland Homes offers one- and two-story homes ranging from 3,270 to 4,424 square feet. Rough Hollow's exclusive custom neighborhood, Canyonside features 100-foot wide hill country home sites with lake, canyon, and greenbelt views. Taylor Morrison is the builder and offers 24 homes priced between the $590’s and the $900’s, ranging from 3,153 to 5,028 square feet. Cypress Ridge offers 88 home sites, many of which back up to the greenbelt or offer hill country views. Builders in this charming enclave include Grand Haven Homes, Standard Pacific Homes, and Village Builders. Prices start in the $440's. The 64 home sites of The Woodlands also overlook Rough Hollow Cove and its forested canyons. Its builders include Grand Haven Homes, with prices starting in the $430’s. Grand Haven offers one- and two-story homes ranging from 2,300 to over 4,000 square feet. The 47 custom homes of The Bluffs, featured in the 2010 Parade of Homes™, offer sweeping views of the Texas hill country and Lake Travis’ Rough Hollow Cove. Homes range from 2,500 to 4,900 square feet and start in the $690’s. The 55 residences in The Overlook start in the $360's. Scott Felder Homes and Village Builders are the two builders. Scott Felder Homes features single-story home designs ranging between 1800 square feet to 2550 square feet with prices starting in the mid $300's. Village Builders® offers their Next Gen home (with a home suite within a home) in addition to the energy-efficient PowerSmart Home. The East Rim sits high on a bluff overlooking Rough Hollow Cove and includes 59 home sites with beautiful Texas hill country and Lake Travis views. Its homes were built by Coventry Homes and Scott Felder Homes and start at 2,100 square feet. Coventry Homes has one- and two-story plans starting in the mid $400’s, including several with lower-level walk-out options. Scott Felder Homes start in the $500’s and range in size from 2,272 to 3,673 square feet. Featured on the 2008 Parade of Homes™, Water’s Edge overlooks Rough Hollow Cove. Sitting on the eastern shore of Lake Travis, it offers custom waterfront home sites starting in the $800's. The Enclave features 79 energy-efficient River Oaks Homes (by Centerra) with customized floor plans in a gated neighborhood. Homes range from 4,100 to 5,000 square feet with prices starting in the $700's. Located adjacent to the amenities of the Rough Hollow Yacht Club, these estate-sized home sites offer sweeping hill country and Lake Travis views in luxurious Mediterranean and Hill Country styles. Rough Hollow Lakeway wraps around Rough Hollow Cove on Lake Travis. 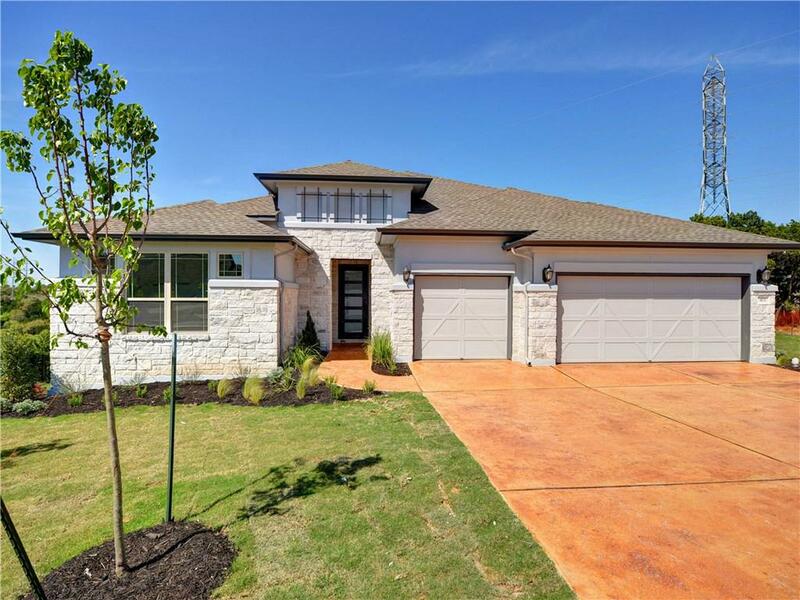 On the west side of Lakeway, it is served by the exemplary Lake Travis Independent School District and lies 23 miles (about 33 minutes) from downtown Austin in MLS area LS. Its zip code is 78738. “The drive from Rough Hollow to the Austin-Bergstrom International Airport is 30 miles and takes about 40 minutes,” said Sharp. Homeowners enjoy hiking trails, watching Lake Travis sunsets from limestone bluffs, and the endless fun in the sun on its 64 miles of lake. World class amenities abound. “It’s a rough life,” touts the sales office tagline. Located adjacent to the welcome center is Highland Village amenity center. Offerings include an adults-only swim up bar, a family pool, a zero-depth entry for kids, waterfalls, a lazy river, a splash pad, an open-air market place, an all-season event pavilion with demonstration kitchen, ample greenspace, a fountain and pond, and year-round scheduled activities, thanks to an onsite event director. Ranked as one of the cleanest lakes in the nation and in the top three for scuba and water sports, Lake Travis offers 64 miles of pristine water surrounded by beautifully forested limestone cliffs. For lake-lovers who enjoy boating, skiing, parasailing, scuba-diving, wake-boarding, and cliff-jumping, the marina is the heart of Rough Hollow. Rough Hollow’s members-only Yacht Club and Marina sits perched on Rough Hollow cove. It boasts a dual tram system, boat rentals, covered boat slips (24’ to 50’), gasoline and diesel fuel stations, a boat-fueling concierge service, dock carts, boat detailing, and a fully-stocked ship store. Facilities also include a fitness center with cardio studio, men’s and women’s showers, a resort-style infinity edge pool, swim lockers with towel service, an open air pavilion/amphitheatre, and a patio sundeck with lounge. The Yacht Club’s restaurant, Rough Hollow Grille, overlooks the marina and offers a coffee bar and deli. Rough Hollow’s Concierge Service provides pet care and pet sitting, grocery and retail shopping errands, mail services, house monitoring, light bulb and filter replacement, vendor referrals, automotive care errands, and child pick-ups. Its Activities Director keeps the event calendar full of events from yoga classes to sunset parties. With four excellent golf courses and the 16 tennis courts within the World of Tennis, Lakeway Airpark, and the Lakeway Swim Center, inhabitants find no shortage of outdoor recreation near Rough Hollow. Golfing options at the members-onlyHills of Lakeway include 72 award-winning holes on four beautiful hill country golf courses: Hills Signature, Flintrock Falls, Yaupon, and Live Oak. Lakeway’s newest park, this 20-acre canyon sits above Rough Hollow Cove. Trails are natural and overlook vistas before descending into the canyon. Adjacent to Rough Hollow, Lakeway Skate Park is free and open to the public and offers 9,000 square feet of combination street and bowl elements. Located on Dragon Street, Dragon Park features a playscape, swings, basketball court, volleyball area, and a small multi-purpose field. It’s open dawn to dusk and has plenty of parking and restrooms. This trail network, including Smith Greenbelt and Hurst Creek Preserve, offers several miles of hiking trails that follow Hurst and Yaupon Creeks. City Park offers 64 acres of greenbelt and two miles of trails. For dogs, there’s a Bark Park. For kids, there’s a toddler playscape and a school-aged playscape. Even accessible by water, there are areas for horseshoes, washers, shuffleboard, basketball, volleyball, petanque, and baseball. It also features a wildflower meadow with native plant life, a butterfly garden, pavilion, and beach! Rough Hollow book-lovers head to Lake Travis Community Library, which opened in 2013, just two miles northwest. They also visit Bee Caves Public Library, which offers summer reading programs, story times, free Wi-Fi, and public computers. Lakeway’s Heritage Center Park opened in 2005 to preserve, protect, display, and chronicle Lakeway history. The center houses an archivist and meeting room and onsite is a veteran’s monument and a section of the property’s original 1930’s-era ranch house. TexARTS , with a world-class theatre run by a non-profit organization, offers arts education and performance and careers in the visual and performing arts. Just 25 minutes from downtown Austin, Rough Hollow offers proximity to one of the nation’s most dynamic cities: the Live Music Capital of the World. Downtown Austin abounds with museums from the Blanton Museum to Elisabet Ney, The Contemporary, MexicArte, and the Bob Bullock Texas State History Museum. Hundreds of shops and restaurants are located within minutes of Rough Hollow. Two and a half miles east at RR620 and Lohman’s Crossing, VistaRidge outdoor shopping center offers residents a Randall’s Grocery and over 15 retailers from Scrapology to Starbucks. Lakeway Town Center is a mile further south and offers stores like Tuesday Morning, Thundercloud Subs, and Curves. The Galleria is outdoors and includes 1.2 million square feet of high-end department stores, fine restaurants, and entertainment. It also includes a Whole Foods Market, a salon and spa, a beautiful pavilion, and an outdoor waterpark.